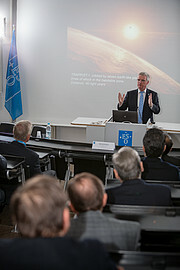 On 16 March 2017, members of the Consular Corps in Bavaria visited ESO’s Headquarters in Garching bei München, Germany. 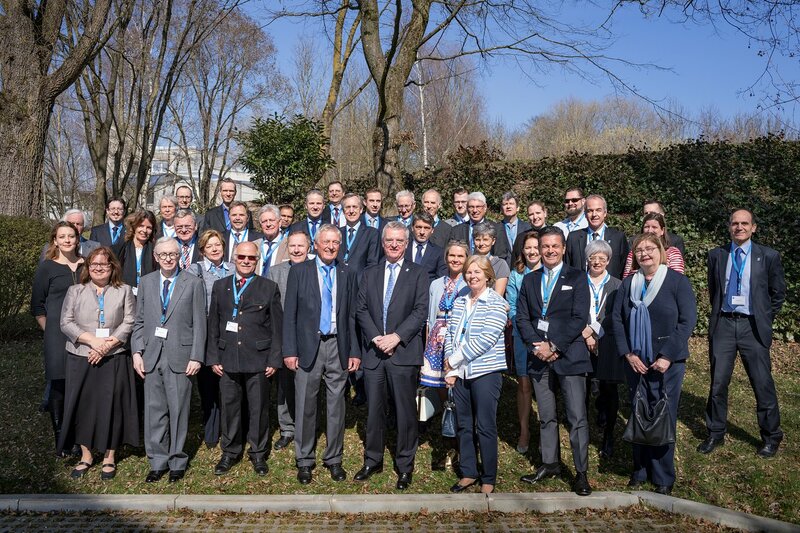 The Corps consists of consuls and honorary consuls from over 100 consular missions based in the federal state of Bavaria, the largest Consular Corps in any German federal state. 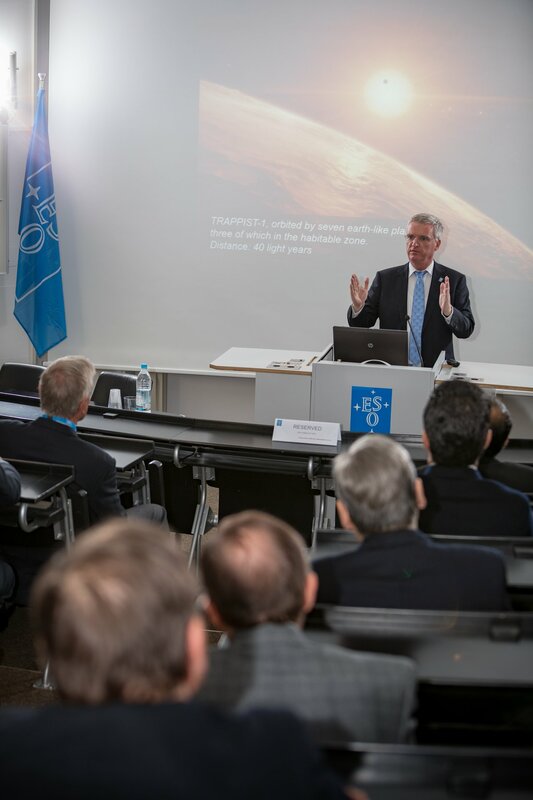 The visitors were welcomed by the Dean of the Consular Corps, Mr. Friedemann Greiner, and by ESO Director General Tim de Zeeuw who outlined the mission and activities of ESO. 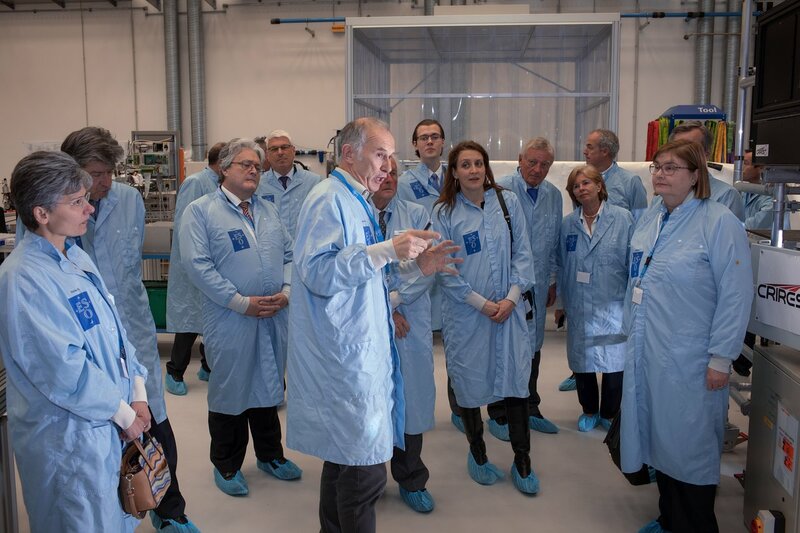 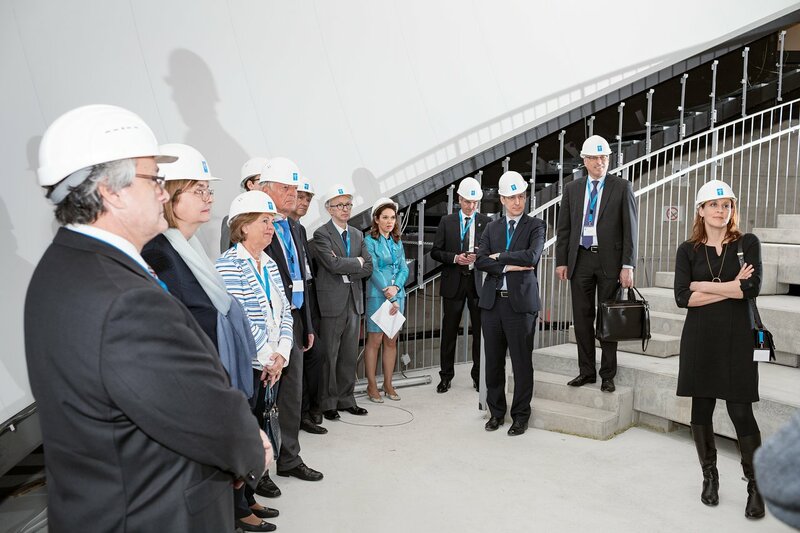 They were then taken on a tour of the facilities. 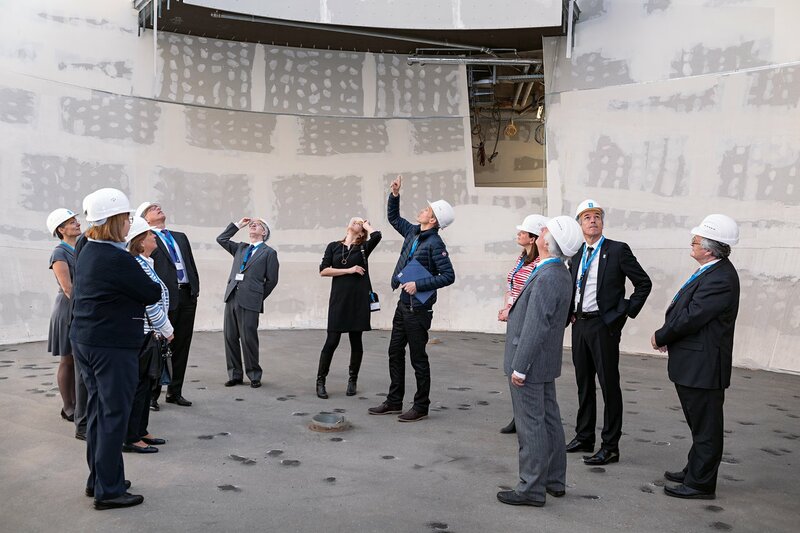 Highlights of the tour included the integration hall, where researchers and engineers assemble instrumentation for use at ESO’s observatories in Chile, and the ESO Supernova Planetarium & Visitor Centre, the world’s first open-source planetarium, currently under construction. 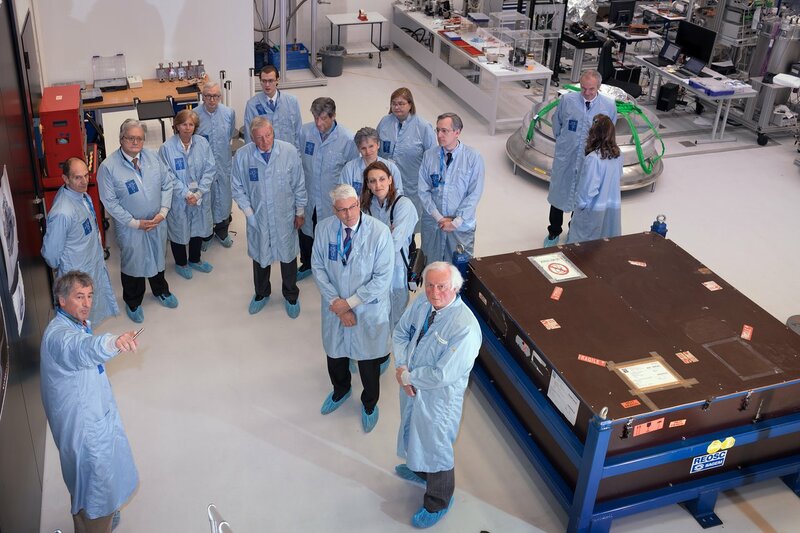 This was followed by a luncheon, giving the Consular Corps the chance to engage in conversation with ESO staff and to learn more about ESO.